The care and cure sector is facing problem since ages. It needed to upgrade rapidly and have a futuristic approach. Hence, to keep up with the increasing demand, IOT has come up with quality improvement and cost rationalization methods for the healthcare industry with an eye on future. Using artificial intelligence, this device recognizes each and every individual in your family. It is 100% secure. It helps regulating and monitoring family health by medication management. 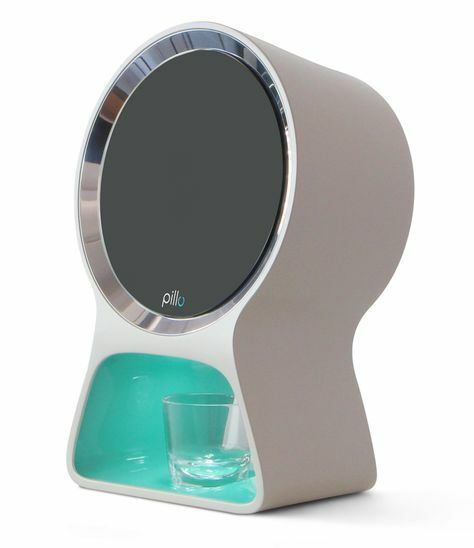 With Pillo in the family, you’ll never miss a dose again. It also indicates in case of emergency in your phone. It is a development platform for medical devices and health applications. The complete health parameters are gathered together and encrypted which are further sent to the user’s private account by the labellum cloud through Wi-Fi or Bluetooth. The data is then visible on your smartphone. It is used to measure15 different kinds of biometric parameters. It is a gateway device that sends patient’s data from any kind of ventilator to any mobile device. They are gsm networks with a WLAN connector that update clinicians outside the hospital with regular updates on their patient’s condition on their mobile phone or their tablet. IoT is potentially lifesaving in the healthcare industry by collecting information from the bedside devices to help healthcare professionals make the right diagnosis and monitor health progress of the patients. It reduces the loss and mistakes in diagnoses and medication. It is also used to track medical assets and provide essential information which is straight forward. Thus use of IoT improves patient engagement, identifies patient needs and improves decision making. It also helps in reduction in health cost thereby, closing patient-provider communication gaps. 1. Adjustable patient monitoring: Remote monitoring of the patient at their homes reducing hospital charges. 2. Early intervention: An individual can himself monitor changes in various preemptive healthcare parameters in his body. 3. Hospital spreading infections: Infectious disease outbreaks can be confined to a small geographical area through early alerts using IOT enabled Healthcare sensors. It can also help in automating the sanitization and quarantine of already infected entities. Data is obtained in real-time: We get real-time data on timely basis and hence saves the time during an emergency or any immediate medication if required. Reduces cost: Patients in the hospitals are charged heavily due to infrastructure and room service cost. This can reduce by treating the patient at his house and calling for medication when required by getting the record of patients in your smart phone. Quality of care and response time: As the hospital receives immediate data of the patients in real time, this reduces the error in data analysis and thereby improves quality of services. Also the records are immediately sent to the main control room of the medical center the response time is thus, greatly reduced. Management: As many devices are connected together with the help of IoT, the management of all the records becomes very easy. Hence IoT has proved very promising and efficient in the healthcare industry and will emerge unexpectedly in the future. I hope you have found this article useful, Kindly share it with your friends on social media websites.